DISCLAIMER: Don’t believe anything I or any body else tells you about edible wild plants. Don’t eat edible wild plants based on what you see in a book or on the inter-net. Get a qualified instructor to show you the plants, and don’t eat them until the instructor shows you how to prepare them, and then eats them him or herself. Be aware that you may be allergic to a plant that someone else can eat without harm. Be sure that any plants that you gather have not been sprayed with pesticides or herbicides. Shepard’s Purse (Capsella bursa-pastoris) is another of our spring greens in East Texas. Shepherd’s Purse is actually native to Europe and Asia but it is now widely distributed throughout temperate regions of the world. 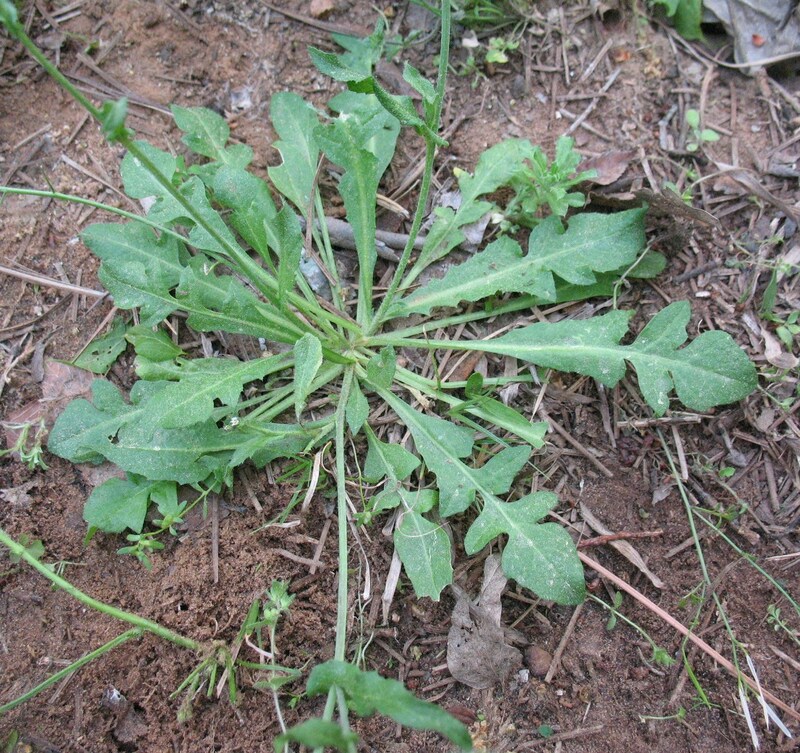 Shepherd’s Purse greens grow in a rosette near the ground that looks very similar to Dandelion greens, although Shepherd’s Purse rosettes are usually somewhat smaller than Dandelions, and the leaves are not so deeply toothed. Pictured below: Shepherd’s Purse greens. Shepherd’s Purse is easy to identify by the little purse-like seed pods that hang from its stem. The stem is fairly thin and grows up from the center of the rosette. Small side stems sticking out from the main stem have a small almost heart shaped seed pods growing on them. 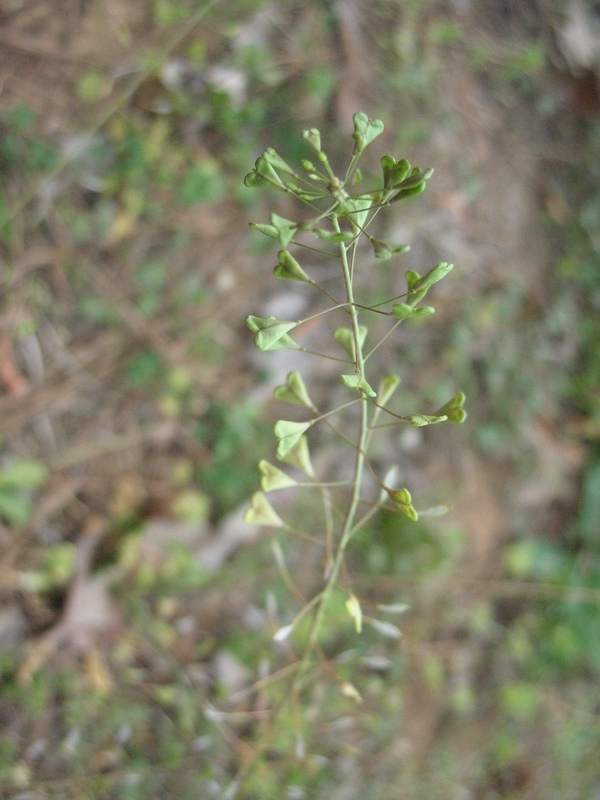 Pictured below: Shepherd’s Purse stem with heart shaped seed pods. Shepherd’s Purse greens may be eaten raw or cooked. They are mildest when they are young. As they grow older they have a slightly tangy or peppery taste. You can use these greens basically any way that you would use spinach. Thanks for the post. It will be helpful to me as I try to identify more wild plants.